Cahir GAA Club would like to offer our condolences to the Grogan and extended family on the recent death of Elizabeth (Betty) Grogan RIP (Kilmeany Co, Carlow) our thoughts are with the Grogan and extended family at this sad time, may she rest in peace. The draw for September was held last Friday evening in Ballingarry, sadly our luck deserted us this month as we had no winner in the draw, that's the luck of the draw and nothing we can do about it, thank you to all who signed up to the draw with us this time around, and let's hope one of those cars will come to Cahir soon, fingers crossed!!. Preparations are going well for the county ladies football team ahead of their All-Ireland final in two weeks' time, the ladies held an open training session in Duneske on Sunday morning last where a large crowd turned out to see the players go through their paces, best of luck to all the team and management and especially our five club ladies. Our weekly fun game draw the joker is in full swing, thanks to everyone for your great support in helping fund our club, this week our draw was held in the Galtee Inn, this week's winners are as follows: Marie Walsh, John O'Gorman, Pat Power, Peggy O'Brien and Mary Walsh. 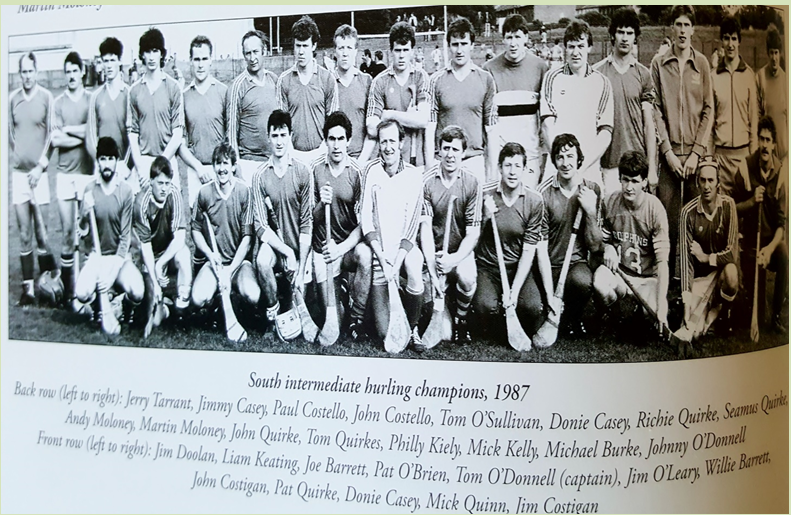 Cahir became South Intermediate hurling champions, can you name all the players?, hope you can see all the names and faces, (photo taken from the book, Memories and Achievements compiled by Colm O'Flaherty and Mattie Hussey, there are still a few copies around contact the email address above if interested in a copy, enjoy the moment! 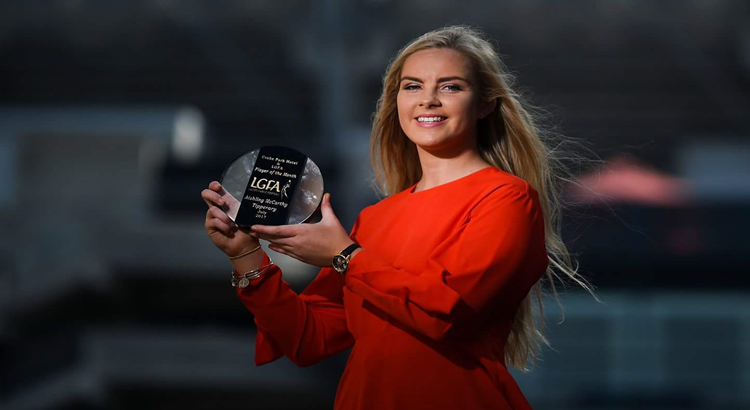 To Aisling McCarthy club player and Tipperary ladies football star, (stunning picture below) who was named player of the month for July, well done Aisling well deserved. 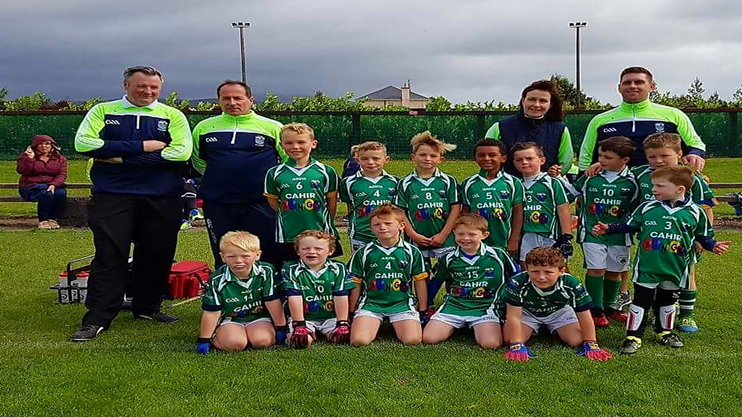 Our Juveniles sent their U7 and U8 teams to the David Boland Memorial blitz in Monroe hosted by Moyle Rovers, well done to all our young players and stars of the future, and to all the mentors who look after these groups very well indeed, pictured below are the two teams involved, first the under seven team and second the U8 team (who were runners up in their group). Best of luck to all our club members involved in the Tradfest next weekend, should be a very good weekend around the town which we have to say is looking very well thanks to all in the tidy towns group who work hard to get the town looking so well, our visitors should be impressed. On Sunday afternoon our young U13 team travelled to Fethard to take on the home side in the Feile hurling competition. In poor weather conditions our lads took the game to the opposition from the throw in. 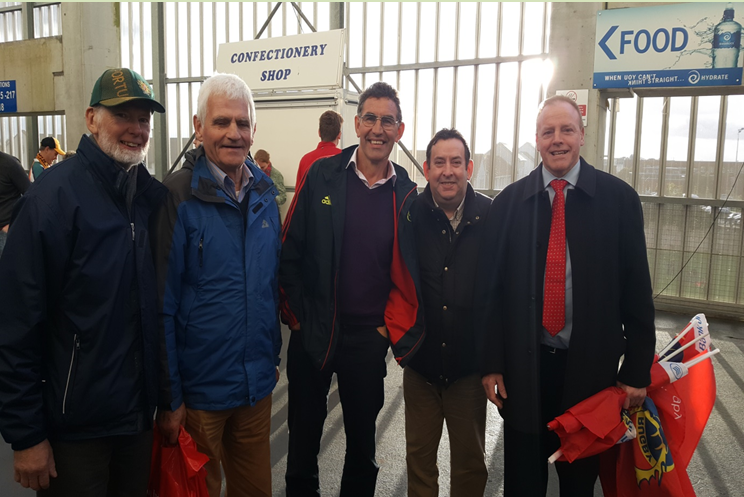 At the interval Cahir led on a score line of 2-03 to 0-02. Playing with a slight cross field wind advantage in the second half we carried on where we left off in the first half. It was great to see the young lads coming up last year's U12 and competing well at this level. Our next opponent's in the competition will be Ballingarry or Killenaule. 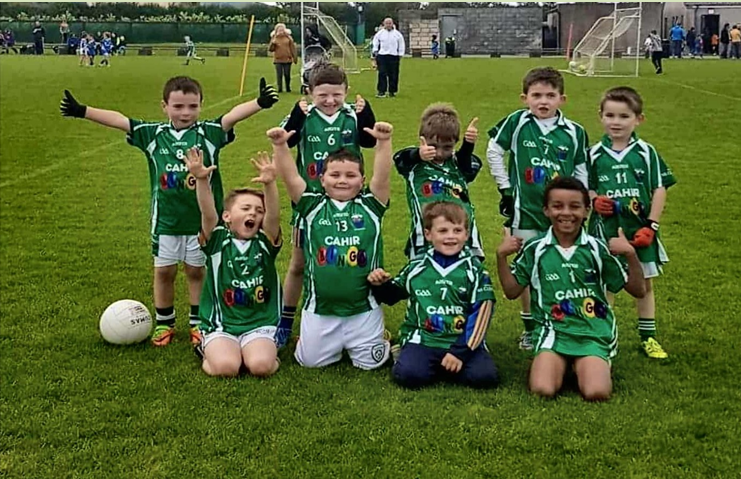 Team: Colin Barrett, Joe Keating, Jesse Kiely, Conor Murphy, Scott Murphy, Oisin Maher, Dylan Butler, Sean Leahy, Francie McDonagh, Evan O' Regan, Tom Delaney, Adam Hennessey, Sean Downey, Jamie Cuffe, Sean Fitzgerald.